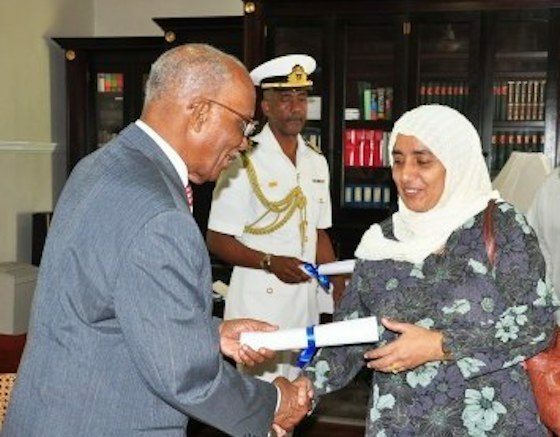 Bridgetown, Barbados: “Eight Muslims were among just over 160 persons appointed recently as Justices of the Peace (JP) in Barbados. The Government of Barbados from time to time will ask the Governor General to appoint persons as Justices of the Peace. Government will recommend persons whom they see as appropriate for the post and will also accept suggested names from various social, civic and religious organizations. The practice of countries appointing Justices of Peace dates back to the 12th century in England when persons where appointed by the King as ‘Keepers of the Peace” to assist law enforcement officials in ensuring citizens abide by the law. The powers of Justices of the Peace vary from country to country. In Barbados JP’s do not have as much powers as their counterparts in Scotland, Wales and in Canada, nevertheless their role and position is seen as an important asset to law enforcement in the country. The main tasks they are expected to perform include administering oaths, certifying documents (especially passport and other immigration forms), signing search warrants and assisting in the event of riots. These eight Muslims join several other Muslims who were appointed over the years from the community in Barbados. These appointments from among the Muslims are significant as there show the Government’s recognition of the role that the Muslim community, even as a minority, plays in the society. 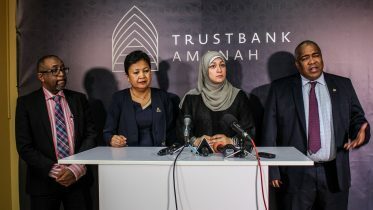 It also demonstrates beyond doubt the integration of Muslims of faith into the very fabric of society while holding firm to the ethical norms prescribed by their faith while engaging in civil activity in a plural society. Be the first to comment on "BARBADOS APPOINTS JUSTICES OF THE PEACE"